Item # 313166 Stash Points: 4,495 (?) This is the number of points you get in The Zumiez Stash for purchasing this item. Stash points are redeemable for exclusive rewards only available to Zumiez Stash members. To redeem your points check out the rewards catalog on thestash.zumiez.com. 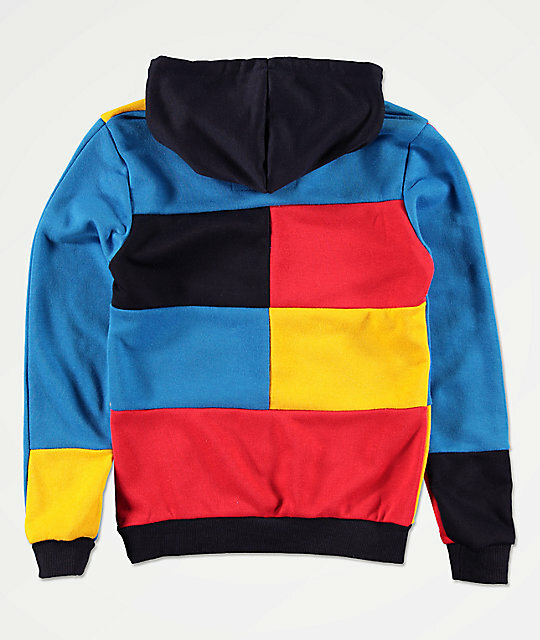 Bundle up your little one in colorful style with the American Stitch Boys Color Block Hoodie. This classic construction features red, blue and yellow color blocking throughout and a contrasting black hood for a bright and cheery look. Finished with a kangaroo pouch pocket for storage and a brand patch on that pocket for additional flair, this hoodie is soon-to-be your child's new favorite. 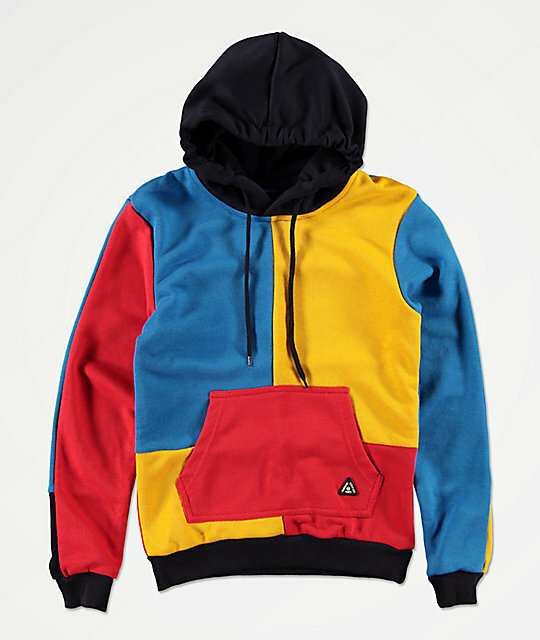 Boys Color Block Hoodie from American Stitch. Blue, yellow and red color blocking throughout. Adjustable drawstring hood in all-black. Kangaroo pouch pocket with rubber brand patch.